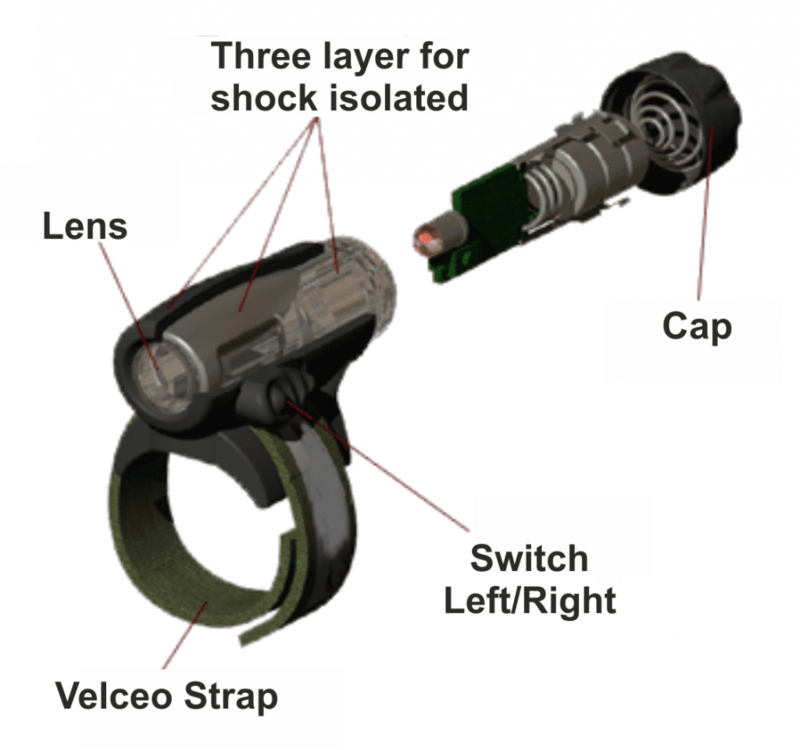 AirLite NVG Compatible Aircrew finger torches, (supplied by MJ Services (GB) Ltd) are procured by the UK MoD and are scaled for individual usage with all UK military aviators in all three Services. Our Airlite Finger Torch is also in use by many police forces and air ambulance crews throughout the UK. Cleared for use from Eurofighter Typhoon fighters to C130 and all helicopters, the torch has been rigorously tested for performance and safety in the cockpit. They are the only torches cleared for aircrew use by the UK Technical Authorities. The torches are ruggedized, to a water resistant design, capable of taking the harshest abuse. 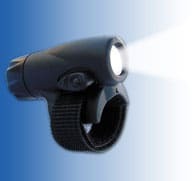 They are light enough to be unnoticed by the wearer and powerful enough to provide an immediate and accurate lighting solution in a wide variety of scenarios. The battery time is 20hrs using 3 COTS SR44 batteries. The torch is very simple to wear on either the left or right index finger. Operation is one handed by the thumb so your other hand remains free. Flipping between the normal and bright light modes is simply done by pressing and holding down the on/off switch. Contact your local representative or contact ThermBright directly email: admin@thermbright.com, tel: +44 (0)1373 824011.